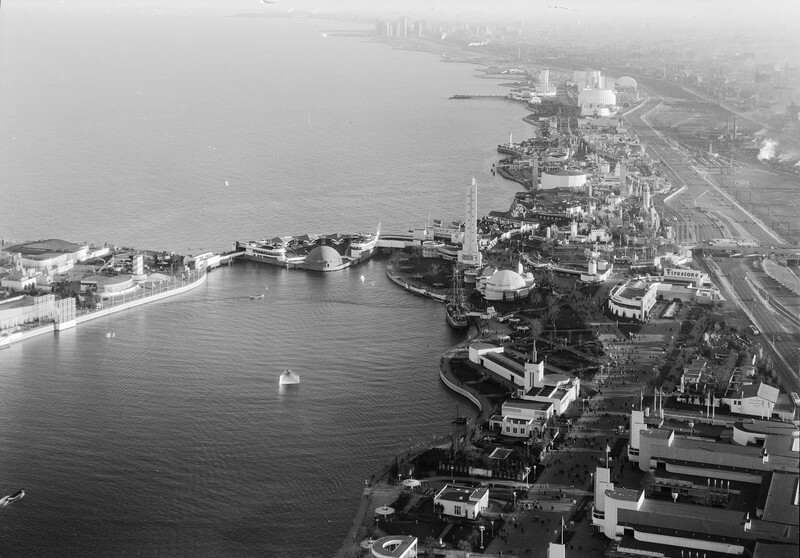 How did the 1933-1934 Century of Progress Exposition impact Chicago and its architecture? 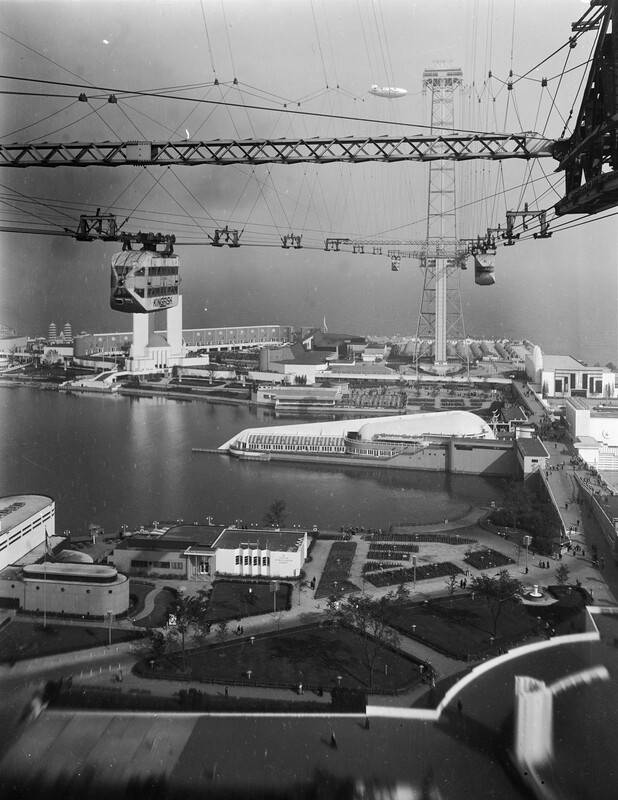 Rather than turn longingly to the past, the 1933-1934 Century of Progress Exposition looked to the future. 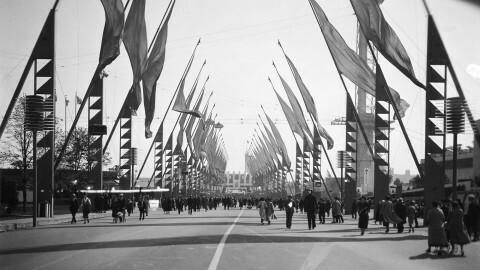 It was the second world’s fair hosted by Chicago. 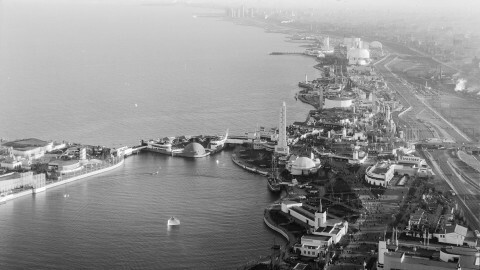 The site of the fair was Northerly Island, an artificial stretch of land that is actually a peninsula, not an island. 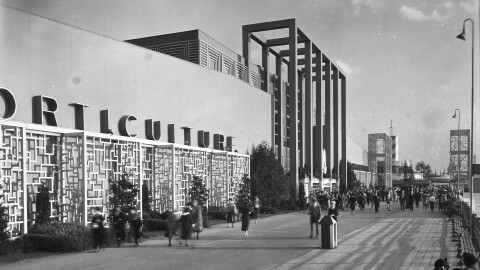 Despite its name, the fair was less a retelling of Chicago’s first 100 years and more a showcase for modern living, consumerism and entertainment. All of this was driven by the need to stimulate spending during the Great Depression. There were nearly two dozen corporate pavilions at the exposition pushing the latest gizmos and gadgets for home and car—a big increase from the nine corporate pavilions at Chicago’s 1893 World’s Columbian Exposition. The exposition’s architectural team included Daniel Burnham’s sons, Hubert and Daniel Jr., who took the reins of their father’s practice following his death. 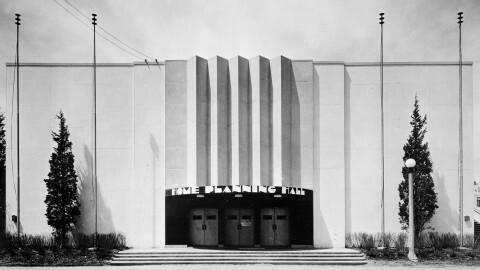 Unlike the elder Burnham—who 40 years earlier emphasized the Beaux-Arts style in the “White City”—the 1933-1934 fair planners embraced a vibrant modern aesthetic. 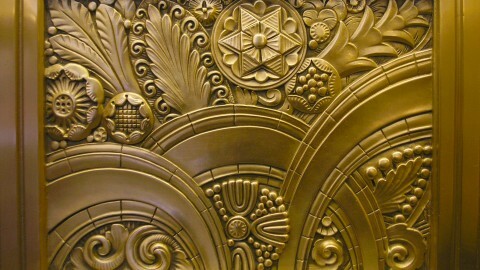 These styles would later come to be known as Art Deco and Art Moderne. They feature clean lines, synthetic materials and bright splashes of color. 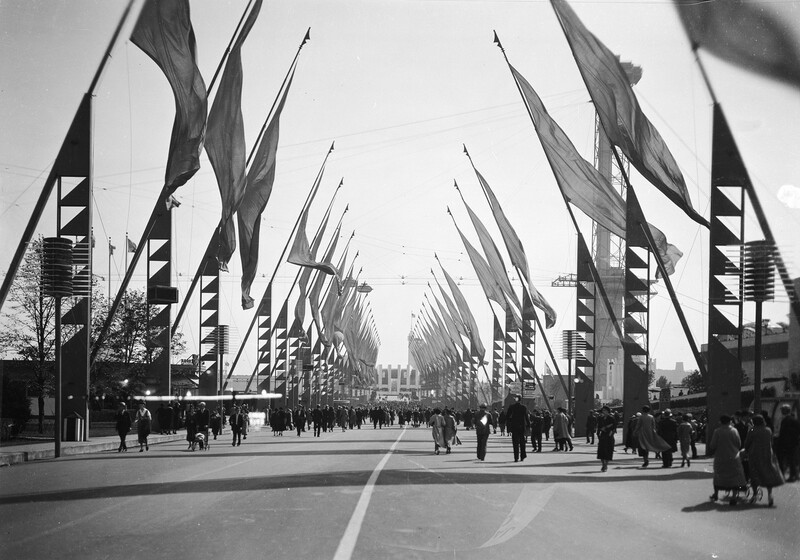 Leading the charge among a who’s who of designers assigned to construct areas of the fair were young architects Louis Skidmore and Nathaniel Owings, who would later found Skidmore, Owings and Merrill. 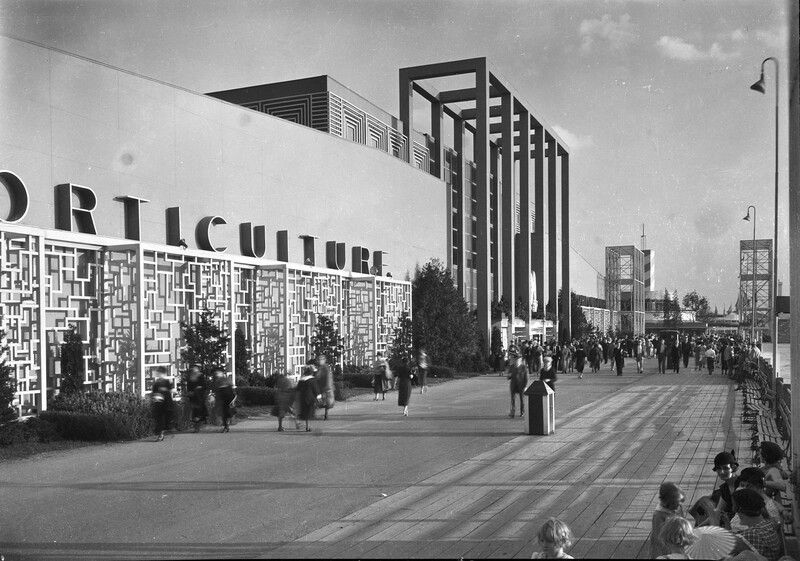 They designed exhibitions throughout the grounds, ensuring a consistent aesthetic—one that Frank Lloyd Wright, left out of the planning, derided as a “sham,” but that others saw as progressive. 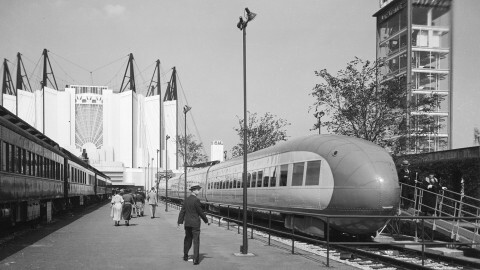 George Keck's famed House of Tomorrow also debuted at the exposition. It was later transplanted to the Indiana dunes alongside other futuristic homes. This steel-framed model home deployed a radical use of glass and a curtain wall system. It included not only a garage, but an airplane hangar for the day when we’d all need a space to park our private planes. The interior of the house was more down to earth, with features like dishwashers and air conditioning that would indeed become commonplace household items. 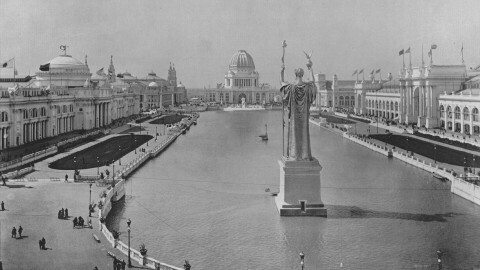 The Century of Progress Exposition had many lasting architectural impacts on Chicago. 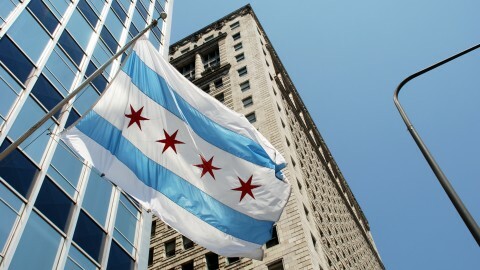 It introduced millions of people to newly created lakefront land near the Museum Campus and put them in contact with new inventions. 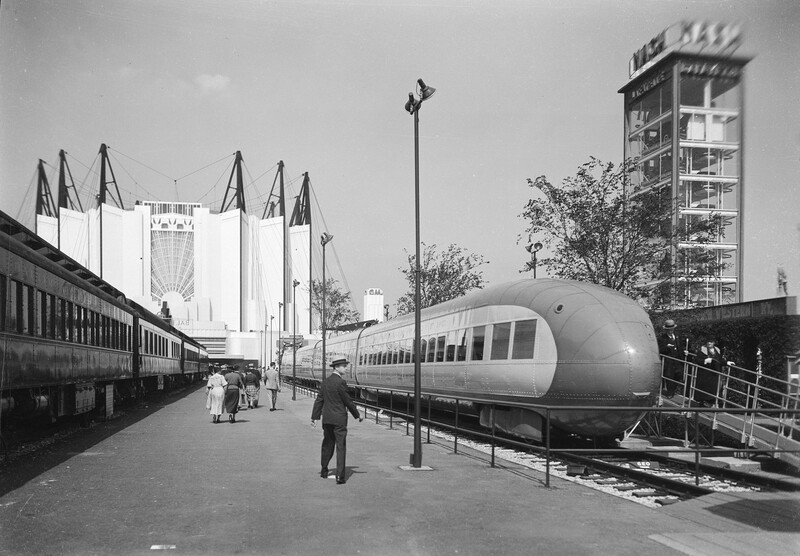 It also foretold the rising influence that the automobile would have on city planning. The fair hinted at a future change in city design—particularly how buildings would relate to one another and how houses would address the street. 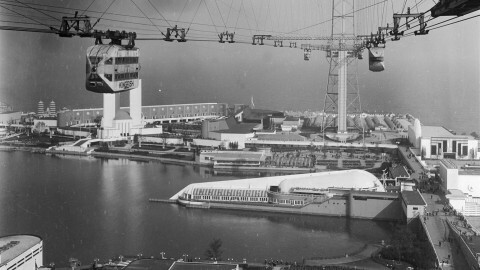 Perhaps most importantly, the 1933-1934 World’s Fair gave people hope for the future during the Great Depression. 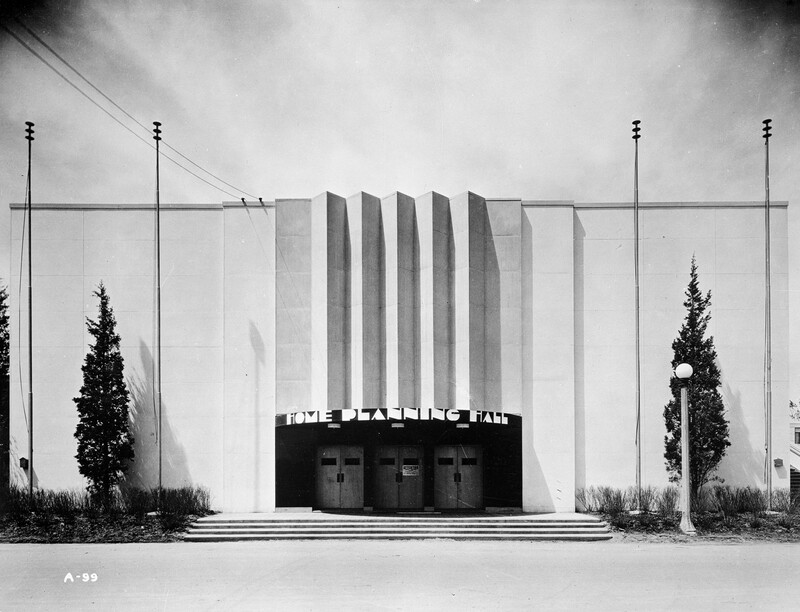 Now, more than 80 years later, the site of the fair is a beautiful lakefront park and Art Deco is a celebrated architectural style.